I find my personal location data strangely fascinating. 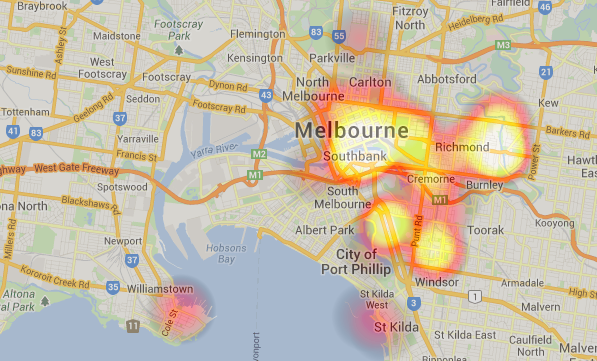 I am back in Melbourne for a short period so I asked wheredoyougo.net to show me heat map of my Foursquare check-ins for every visit I have made here and it’s all remarkably consistent. While this version of the data is not very detailed it’s still interesting to me, if nobody else.